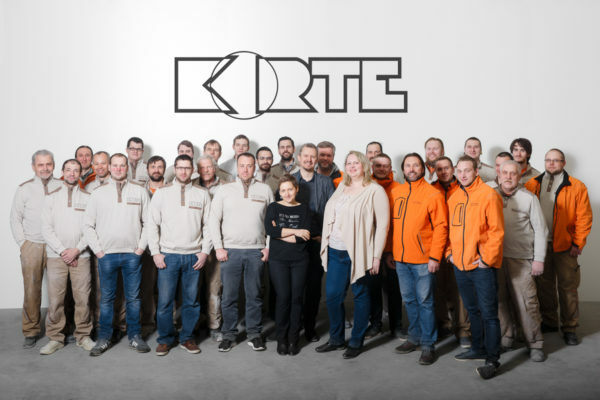 SIA “Korte.lv” was founded in 2009 by joining together experienced specialists in the field with the aim of offering effective solutions and quality products from solid surface. At present, SIA “Korte.lv” is one of the leading solid surface processing companies in the Baltic States. To complete orders on time, a team of 45 people is employed with the company, and the manufacturing area is over 1200 m2. The factory uses state-of-the-art manufacturing equipment to be able to complete work of any complexity. Currently SIA “Korte.lv” is successfully functioning on the Latvian and foreign markets. We have found regular cooperation partners outside Latvia. We have installed our products in such countries as Finland, Sweden, Denmark, Norway, Lithuania, Estonia, Germany, Austria, Japan and others. Since its foundation, SIA “Korte.lv” has been constantly developing. We work closely with the largest manufacturers of solid surface, such as DuPont Corian, Staron, Hi-Macs, Meganite, Montelli, Avonite, Hanex, and Kerrock. New and modern production equipment and qualified staff enable us to offer our clients high-quality products.